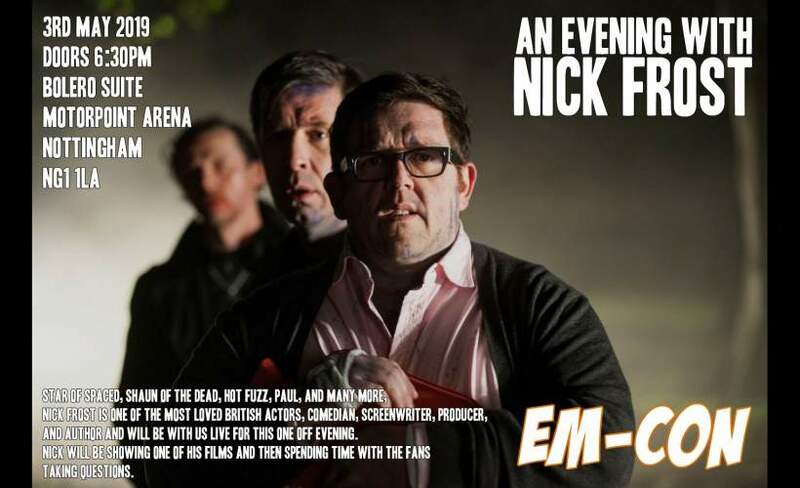 Star of Spaced, Shaun of the Dead, Hot Fuzz, Paul, and many more, Nick Frost is one of the most loved British actors, comedian, screenwriter, producer, and author and will be with us Live for this one off evening. Nick will be showing one of his films and then spending time with the fans taking questions. This is an all seated event with a first served basis for seats.